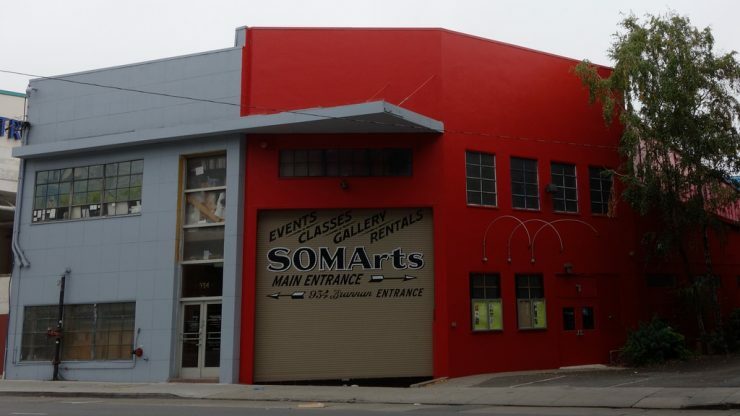 SOMArts is wheelchair accessible, and in proximity to several nearby public transportation stops. SOMArts does not have automatic doors at its Main Entrance. Two accessible parking spots are available on-site during regular gallery hours and most events, except when signs are posted and the back area lot is being used for artistic programming. For more detailed information regarding accessibility at SOMArts, contact info@somarts.org with any related requests, questions or concerns.